Hey everybody, here is a little side project I made with some of my friends. We wanted to play a bit with compositing, Nuke, Adobe After Fx and more than everything else have fun ! Some basic masking and tracking were used add the gun shot, smoke and bullet cap. 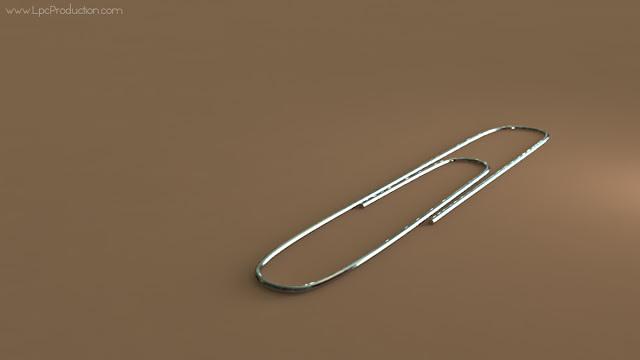 Hi everyone, here's one of my latest work : a paper clip. Mental Ray was used to render this image. Also, in order to get a more realistic lighting effect, I used a HDR Photo of a real room to light up the scene. 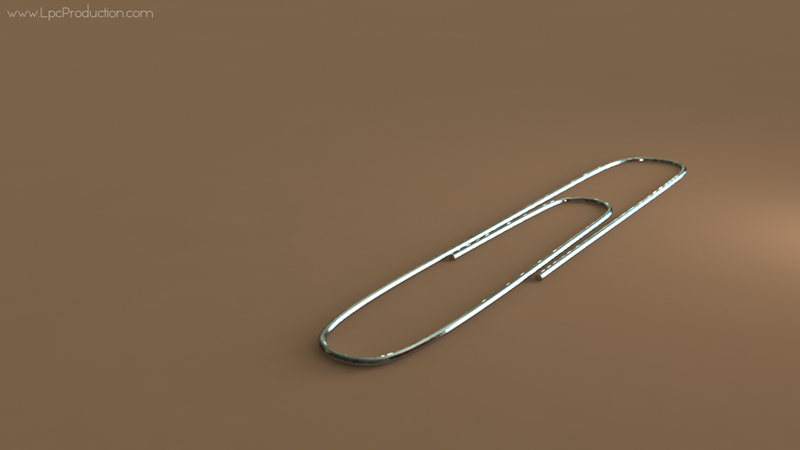 Hi everyone, here's my latest work in my quest to learn Autodesk Softimage 2012. It's a mashup of multiple R&D I made using the Momentum3 plug-in for Softimage. It's a physics and simulation plug-in that utilize the "Bullet" engine. A very powerful and fast engine that is often used in Gaming Engines. I hope you like what you see :). Any comments are welcome ! Hi everyone, it's already the end of my 2nd session studying here at CentreNAD and it's time to turn in my "session project". We had to imagine a "Magic effect" of something disappearing. We made this project in a team of two. I had a lot of fun with the talented 3D freelancer and student Bruno-Pierre Jobin. He had modeled a very nice BMW i8 during the year so we decided we would use this car. As for the backdrop, we wanted something realistic and animated. This is why we used E-on Vue 10. Using the integrated Vue software into the Softimage workflow, we managed to create a low-rez version of our terrain, which we used to do the water simulation and the car animation. In order to animate the car in a realistic way, we had to rig it. We stumbled upon a very great plug-in for Autodesk Softimage named Craft Director Studio by the company Craft Animation. It helped us a lot get a good quality rigging in no time. I encourage you to check it out. For the water simulation itself, we used the in-app Softimage's Lagoa Multiphysics simulation. Using multiple Render Pass we managed to create a transparent look that we then comped onto our high rez Vue 10 backdrop. For the compositing part of the project, we used Nuke by The Foundry, which was both efficient and powerful enough for our needs. Hi, this week I decided to explore a bit more the amazing Vue 9.5 application to create landscape and atmospheres. I also modeled and textured an airline transporter in order to put some action in my scene. What you see here is actually a complete mental ray render realized in Autodesk Softimage 2012.5. What is amazing about Vue 9.5 is that it implement itself inside most popular 3d applications (3ds Max, Softimage and Maya). You simply open your favorite 3D application and you load your Vue 9.5 scene. You can then render directly from your 3d application and using your usual preferred settings. I am currently a student in 3D Design and special effects at CentreNAD. I did two years at École Polytechnique of Montreal. I love 3D, video editing, programming, robotics and creating stuff ! © Copyright LpcProduction 2010. Powered by Blogger.